There are a number of ways a cryptocurrency-based business can run afoul of regulators these days. A startup called Arisebank seemingly decided to try all of them at once. Arisebank—a “decentralized bank”—was in the midst of fundraising through an initial coin offering (ICO) which the company claimed had already generated $600 million. That ICO was halted by the SEC through a court order, the documents for which were filed Thursday and unsealed late last night, CNBC reports. Selling an unregistered investment (AriseCoin). 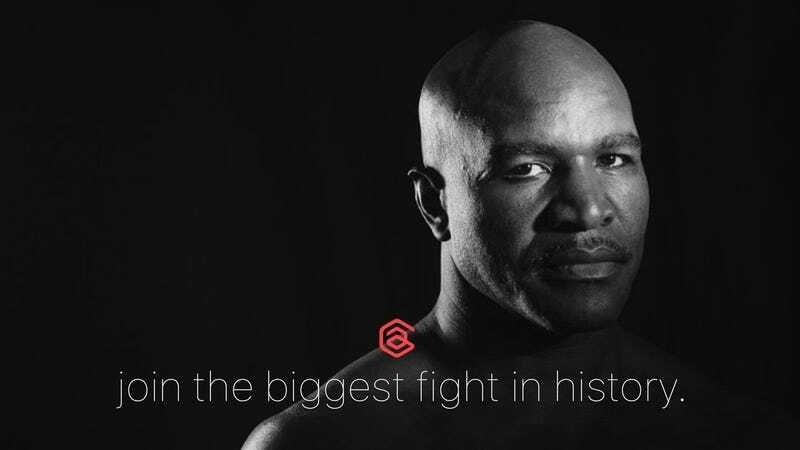 Using a celebrity to endorse and promote an ICO (in this case boxing legend Evander Holyfield). Calling itself a “bank” in the first place—which the Texas Department of Banking did not take kindly to. Misrepresenting your status with the FDIC is a particularly stupid no-no: Those essential protections were established to maintain the public’s faith in banks following the Great Depression. And beyond what’s regulatorily actionable, Arisebank’s website—since wiped clean—made a number of other outlandish claims, purporting to be a bank, a no-fee trading platform, an operator of physical ATMS, and a creditor with a partnership with Visa. Expect to see more letters from the SEC like this in the very near future.